← Emerald Isle = No Smoke! 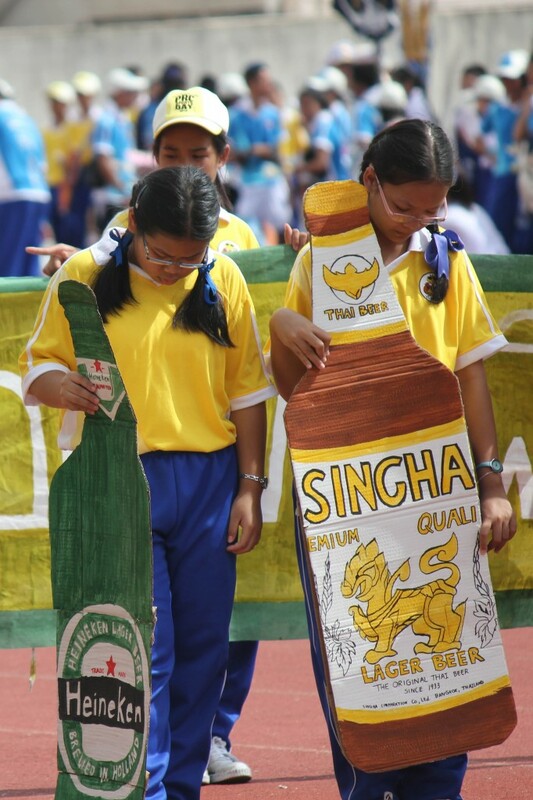 Sports Day. It’s finally here. I’ve actually been hearing about this for months. For the last two weeks, I’ve had about ten classes canceled for “cheer practice.” Several classes are now multiple weeks behind others just because of the preparation for this momentous celebration of athleticism. 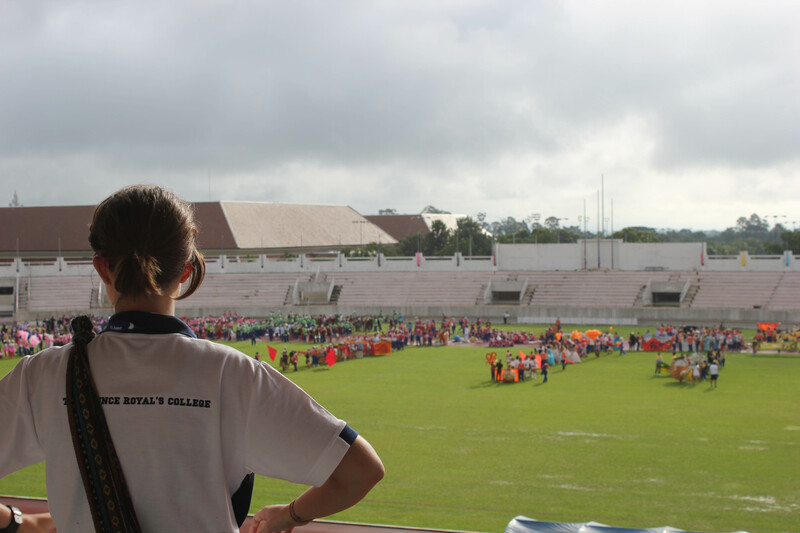 My fellow native English teachers and I pulled up to Chiang Mai’s 700-Year Stadium in our brand-spankin’ new Prince Royal’s College Sports Day polos, ready to watch our students display their endurance, speed, strength, and overall physical prowess. 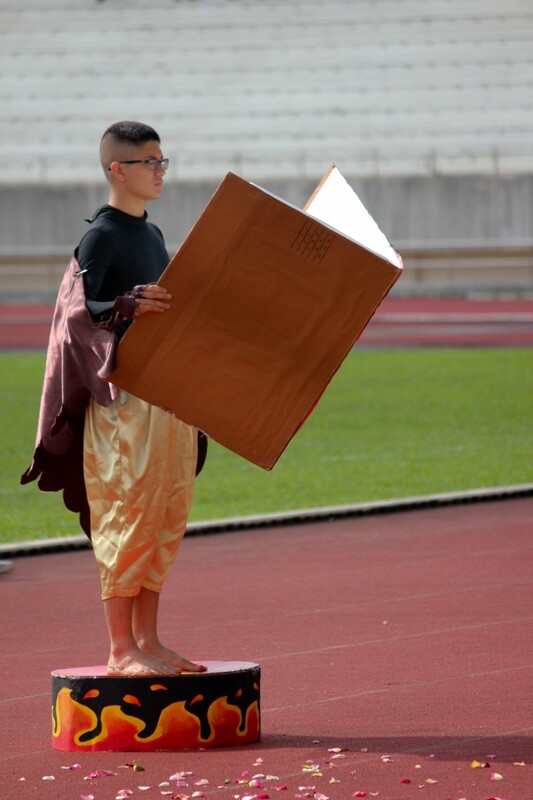 As we stepped into the stadium, we quickly realized that Sports Day may not entirely be about sports. 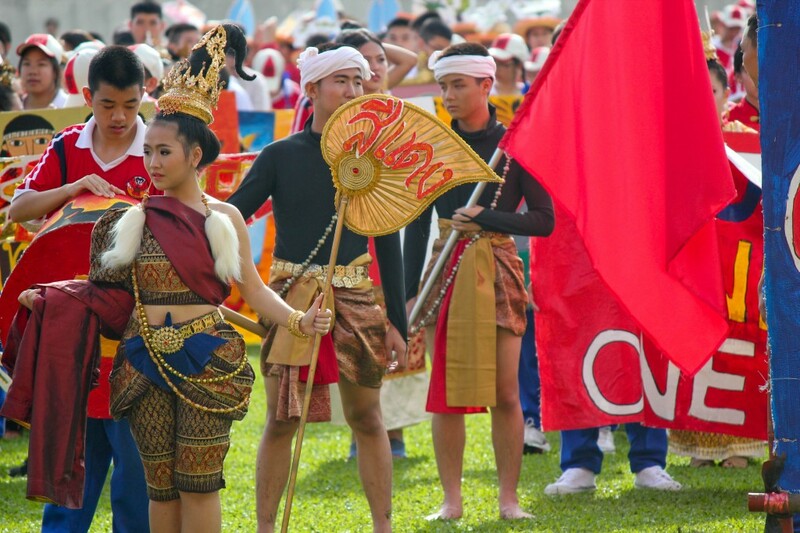 In fact, after observing the whole event, the ratio came out to about 60% pageantry and 40% sports. We found our spots in the stands, and watched one-thousand plus students, all dressed in elaborate, themed costumes, set up for a massive parade. 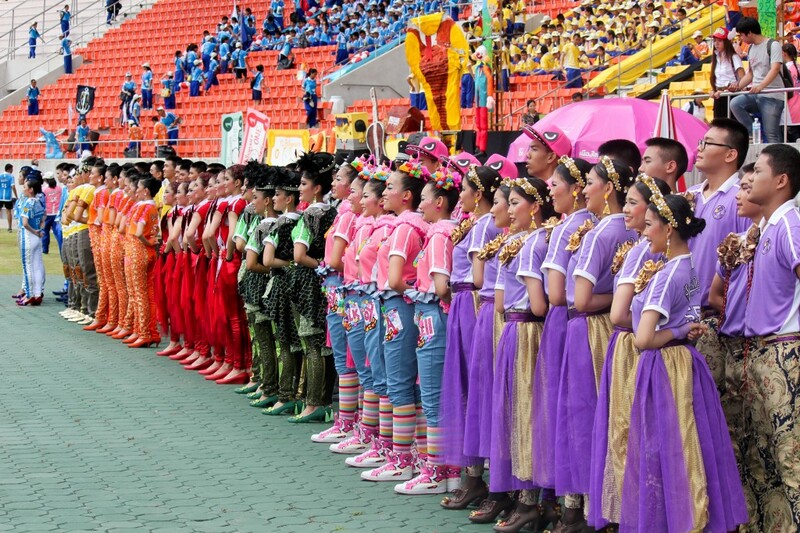 The students were divided into seven teams: Blue, Red, Green, Pink, Violet, Orange, and my team, Yellow (I was simply a mentor and was not allowed to compete. I’m still sore about that. I didn’t even get a Yellow Team jersey….let’s move on, I don’t want to talk about it). 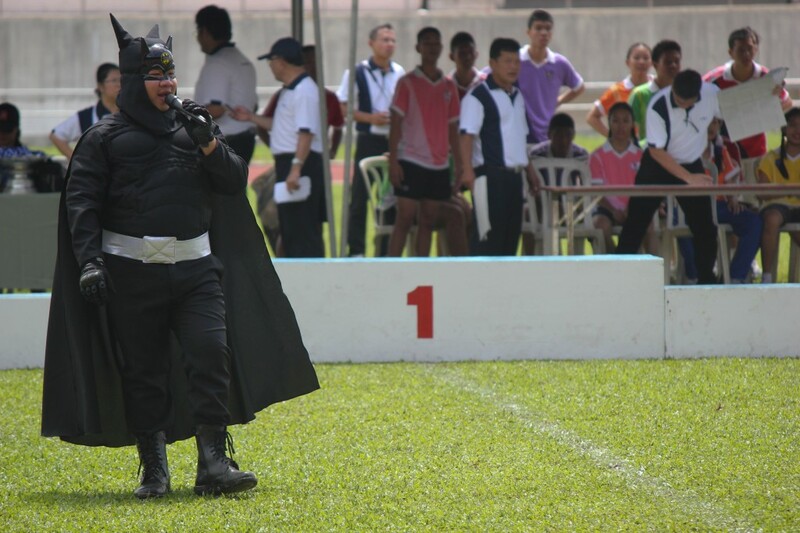 Sports and competition were the last things on my mind as the students lined up to put their costumes on display and stage their prepared skits. But hold your horses! 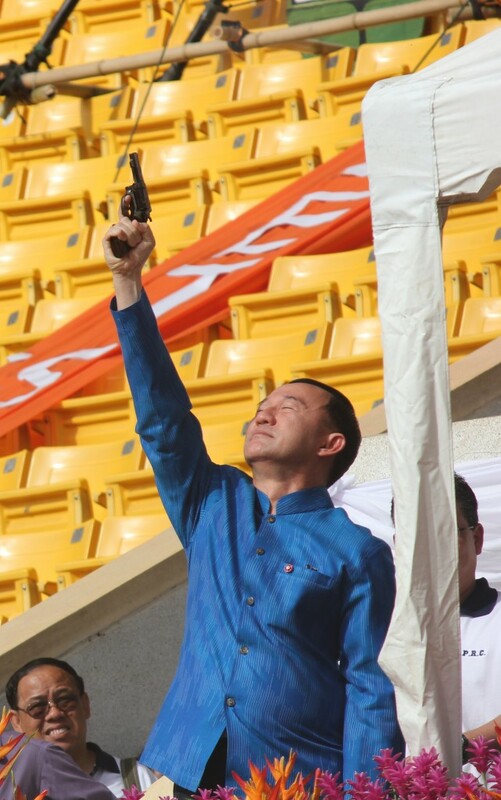 Can’t let the parade start without first letting the mayor of Chiang Mai fire a gun into the air and having a student carry an olympic-style torch in to the stadium. Honestly, I missed all of the Olympics this year, but this event is already making up for that. Once those rituals were complete, the parade began. Staged sword fights. Fan dancing. Royal regalia. Live-action anti-drinking PSA’s. What…is….happening? I couldn’t look away, this was too surreal. This parade lasted about two hours. I would just be standing up in the front of my third period classroom by this time. 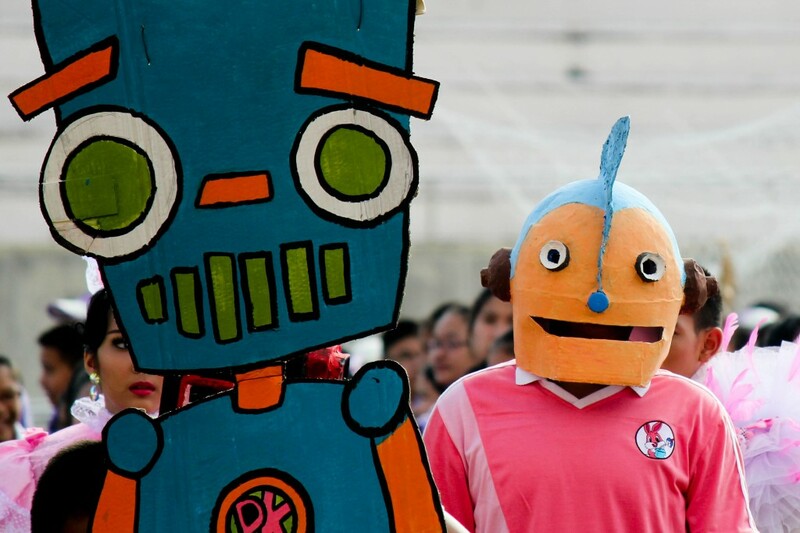 Instead, I was watching my students run around in Robot costumes. I was definitely ok with this turn of events. As fun as it was to watch the seven themed teams play out different stories and perform musical numbers, it was finally time for some sports. 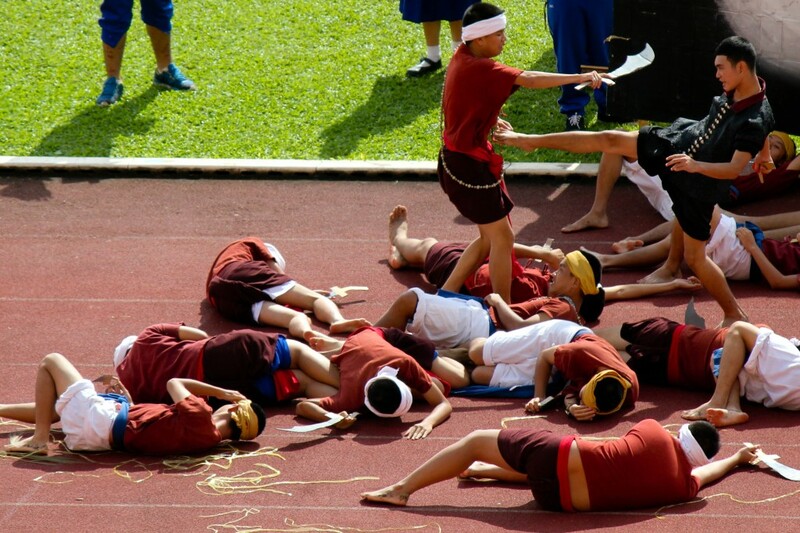 It was, after all, Sports Day. Several events went on at a time. There was sprinting, long distance running, long jumping and javelin throwing. But what were my co-teachers and I commenting on? The cheer squads. Our whole day was spent discussing which squad had more style (My personal favorite? Red Team. They didn’t depend on too many props, like the flashy and pretentious Green Team. Red had the right balance of skill, pizazz, and props. And another thing!…. Ahem, right….moving on again). After a while I forgot there were races happening on the track just ten feet in front of the cheer teams. The day went on like this for a long time. Students ran water out to the cheer teams to make sure they didn’t pass out in the heat. Several students were carried off the field because of heat exhaustion. I wasn’t even moving and I felt like passing out. The “Sports” in “Sports Day” didn’t hold our attention for too long, so my co-teachers and I made it to the air-conditioned room for P.R.C. 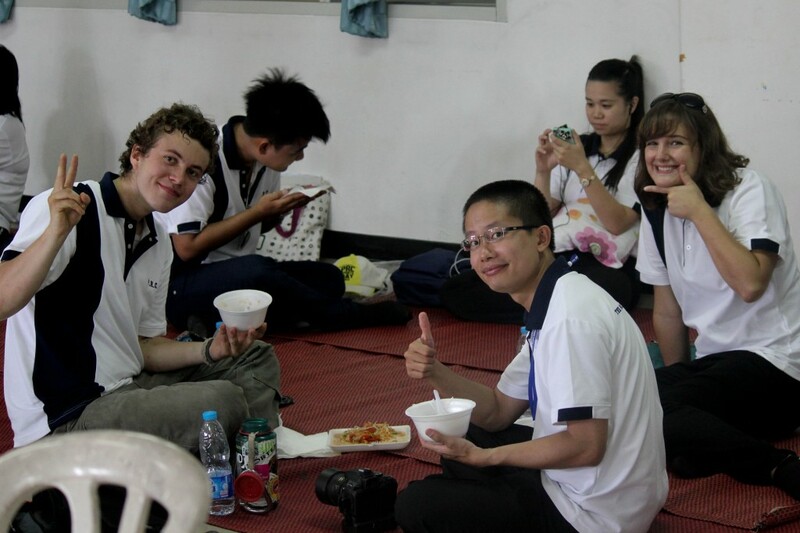 staff to enjoy bowls of somtum and some extensive napping. We deserved some rest right? Sitting and trying to comprehend Sports Day is exhausting.